Nigeria’s Attorney General, Mr Abubakar Malami (SAN) has appeared before the Senate after the upper legislative chamber threatened to issue an arrest warrant. The Senate had threatened to issue an arrest warrant on the AGF after he failed to appear before its Committee on Judiciary and Human Rights. Although he sent a representative, the Committee refused to grant him (the representative) audience. 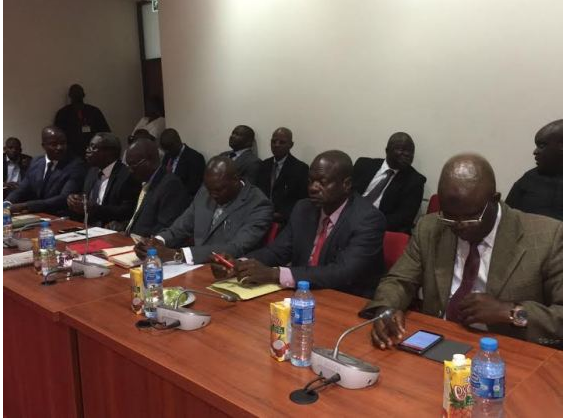 The Senate summoned the Minister to explain the rationale behind his action on charging its principal officers to court over forgery. At the hearing on Wednesday, Malami said his inability to show up for previous summons was out of sheer circumstances. “My inability to attend was out of sheer circumstances not out of disgust for Senate. I am known for a tradition of honoring invitations”, he said. He said the case against the principal officers of the senate was filed to curb abuse of institutional governing documents. Saraki and his deputy are accused of illegally altering the Senate’s Standing Rule used in electing leaders and inaugurating the upper legislative chamber on June 9, 2015. 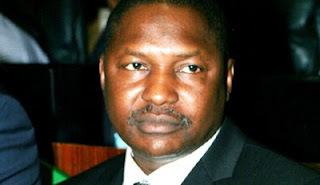 Addressing issues on the alleged forgery of senate standing order, Malami said the allegation predates him as the police had carried out an investigation into the matter in July 2015 and had come up with their conclusion. He said he was appointed a Minister in November same year and acted on the criminal cases forwarded to him by the police, one of which is the alleged forgery of senate order. Malami said that the senate standing order being contested was never deliberated upon by the house, which is against the house rule. He referred to a scenario when there was a need to amend the Senate Rules on 18th May, 2011. According to him, there was a process of deliberation. He noted that a Standing Rule that has not been deliberated and voted on by the Senate cannot be the Standing Rule. He said that based on the non-adherence to the Constitution in amending the Standing Rules, his office filed the case, adding that the criminal case was filed to curb abuse of institutional governing documents. Responding, the chairman of the senate committee, Senator David Umaru, said there was no need to have singled out Saraki and Ekweremadu for trial since the police investigation report did not mention them as those behind the alleged forgery. “Did it make any difference to you that Bukola Saraki and Ekweremadu were not mentioned in the investigation?” he asked. Another member of the committee, Senator Utazi cited Section 30 of Legislative Powers Act which states that the Senate President and Speaker cannot be investigated. “From the Proof of Evidence filed, where were the Senate principal officers mentioned in the case? We will be doing ourselves a great disservice if the 2 principal officers who were not mentioned in the proof of evidence are brought up on frivolous charges. We should be careful not to taint the institution,” he said. After answering their questions, the committee had no further deliberation and thanked Malami for honoring their invitation.